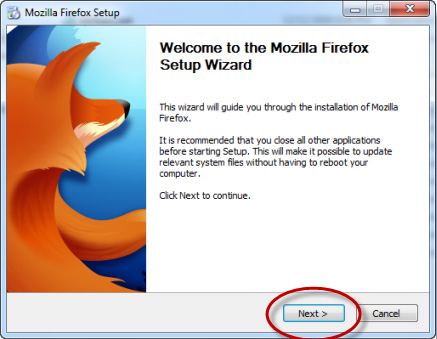 How do I download, install, and update Mozilla Firefox? 2. 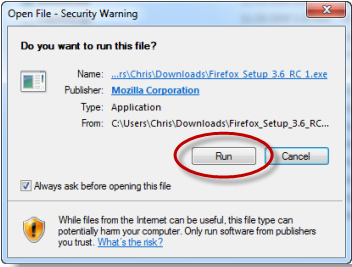 Click on the green download link to download the Firefox installer. Depending on your connection speed, the download may take up to a few minutes. Thanks for your patience… it’ll be worth the wait! 3. Start the process by clicking “Run”. 4. Then, just follow the steps. 3. The About Firefox window will open and Firefox will begin checking for updates and downloading them automatically. 4. When the updates are ready to be installed, click Restart to Update.